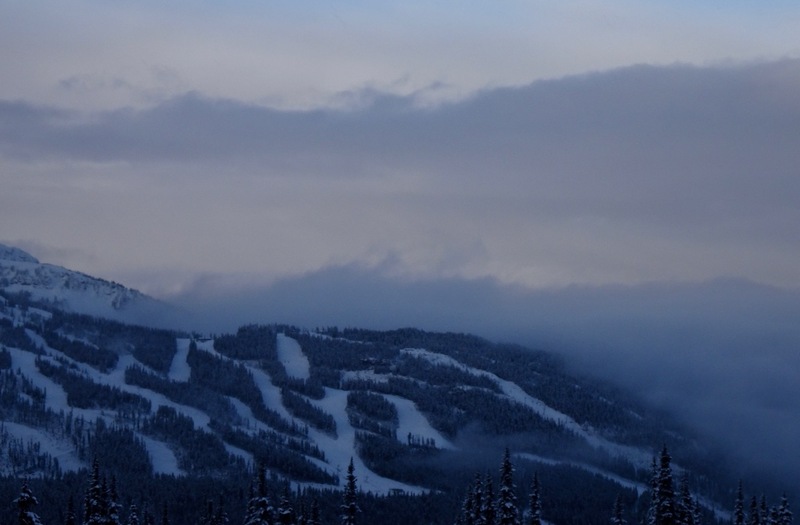 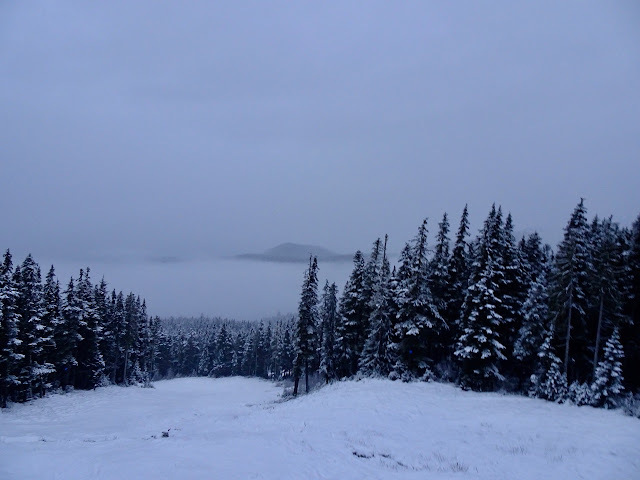 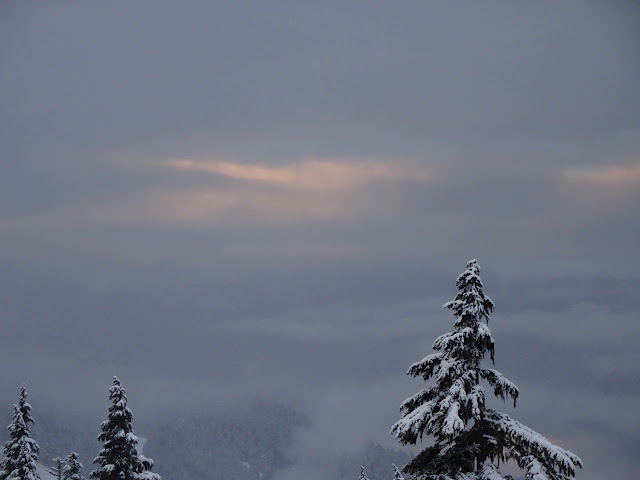 Overcast Friday morning, snow line to the valley. One of the brief breaks to the blue! Moist air mass in the valley. 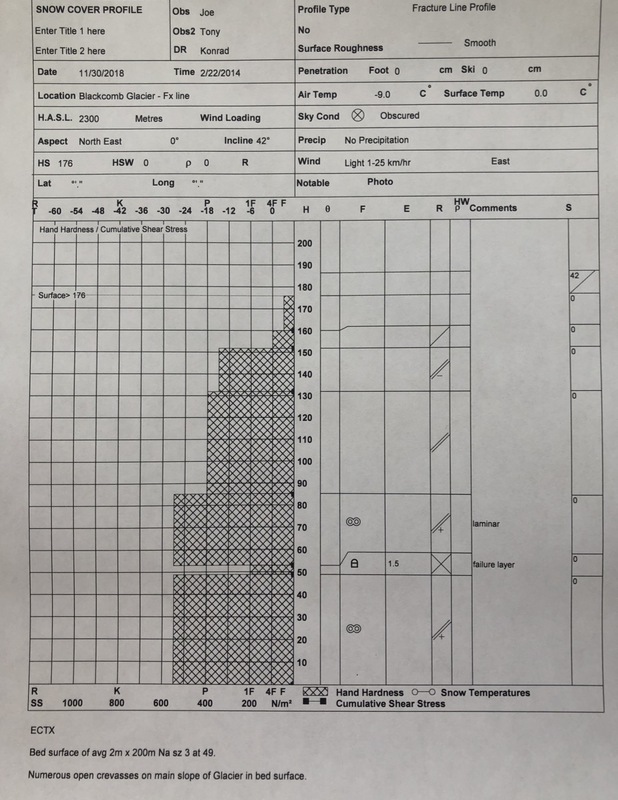 Weather Observations for December 1, 2018 taken at 06:00 Hours. 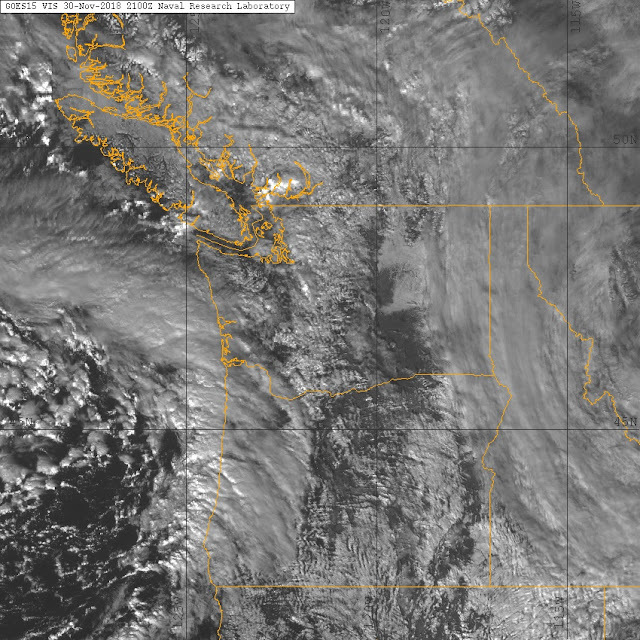 Ridge of high pressure begins to grow with some lingering cloud from the low to our South. Sunnier skies this afternoon with a Northerly flow aloft. The freezing level will drop down to surface tonight. May see some cloud move back into the area tonight into early Sunday morning but certainly looking at cold sunny weather into next Friday. 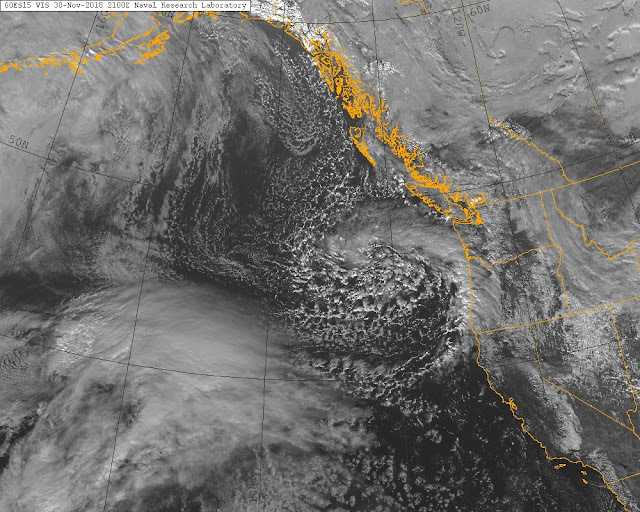 Next storm will be here hopefully next Saturday/Sunday. 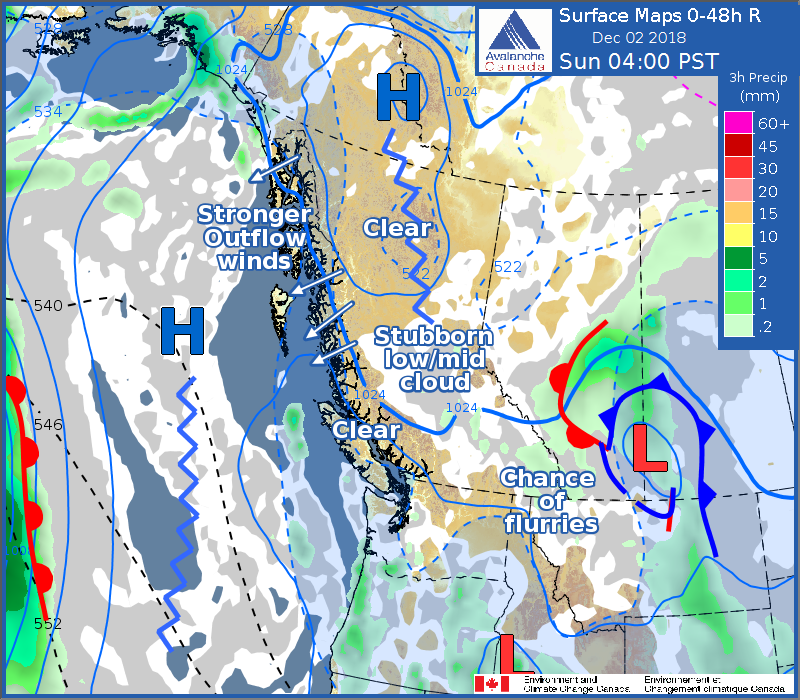 Guesstimates: No snow until next weekend. Low moving South, High moving North, Arctic air infiltrating the coast. 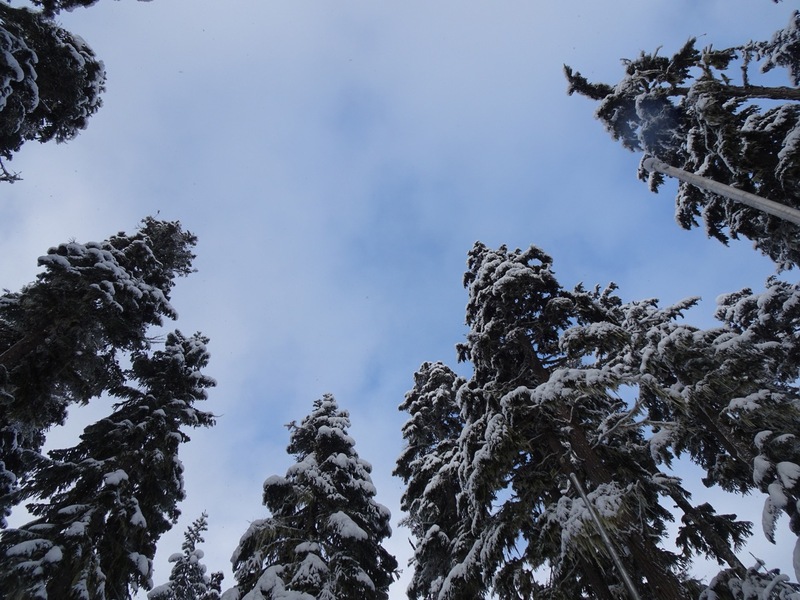 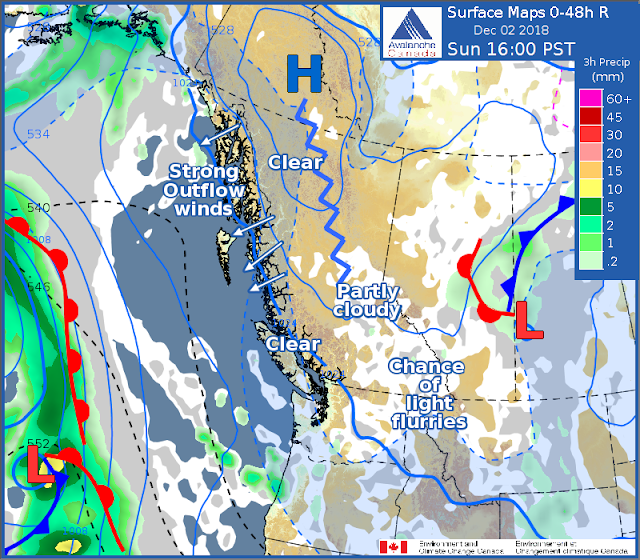 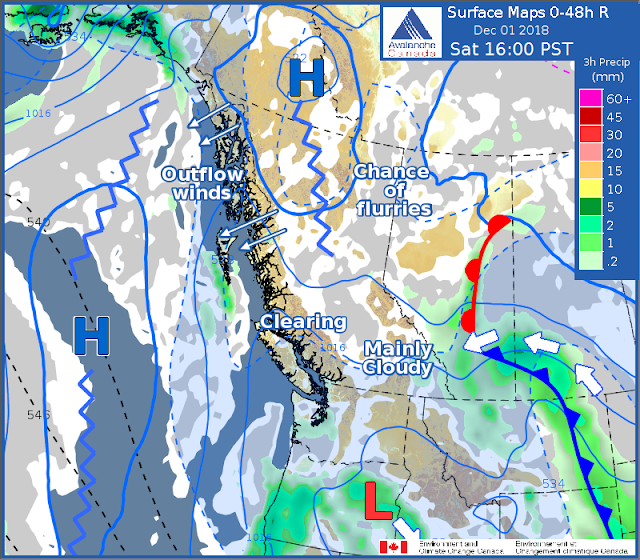 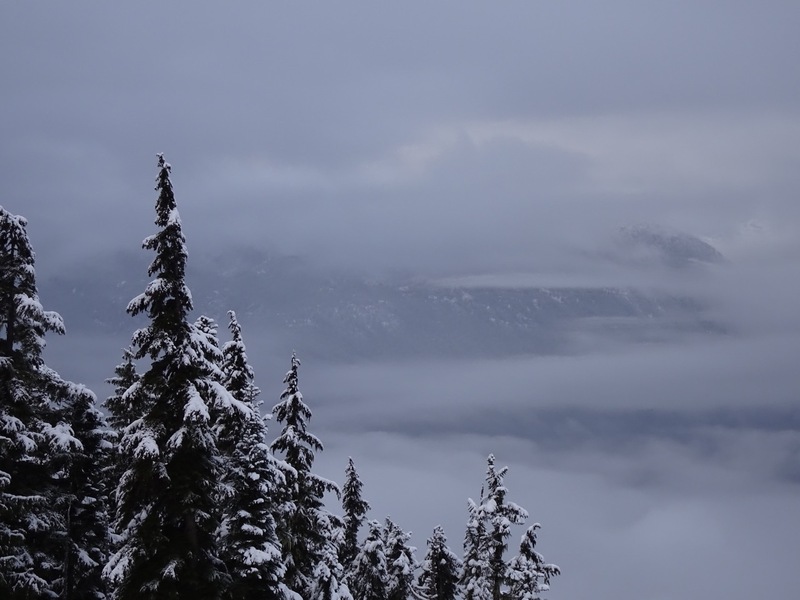 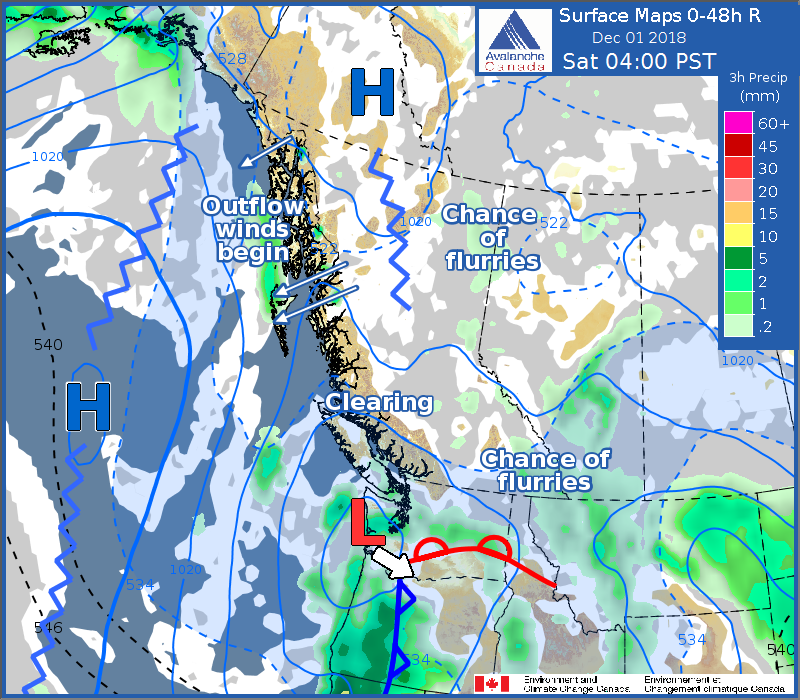 High pressure over much of B.C. 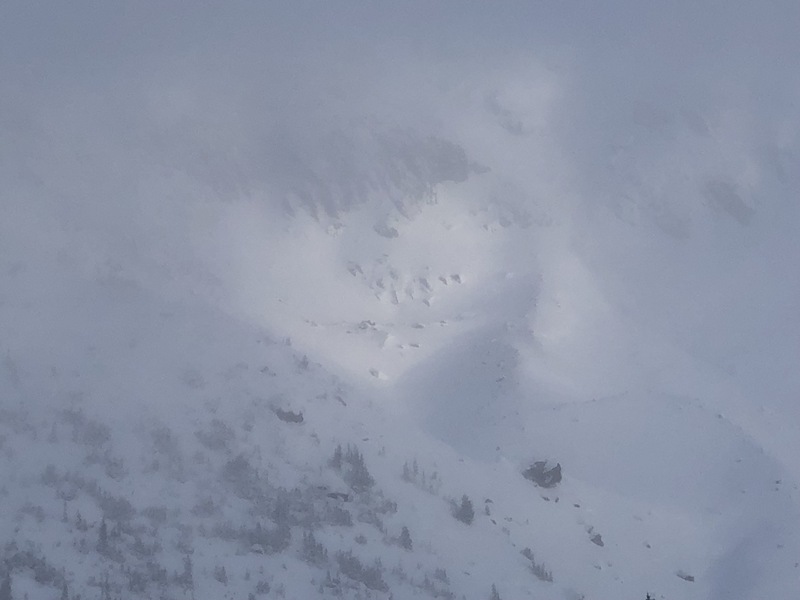 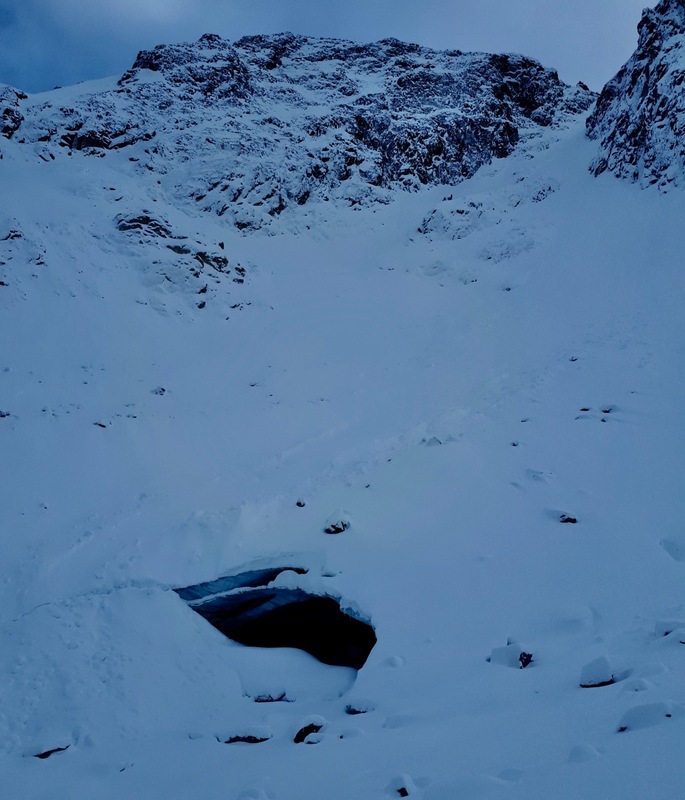 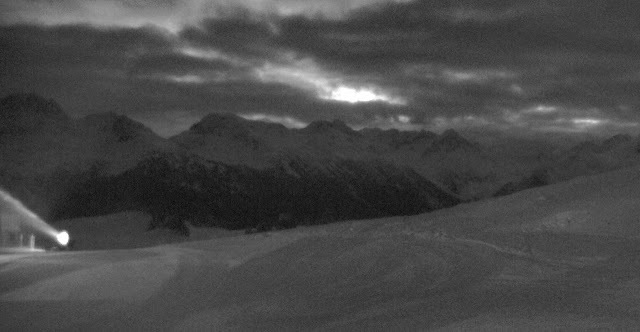 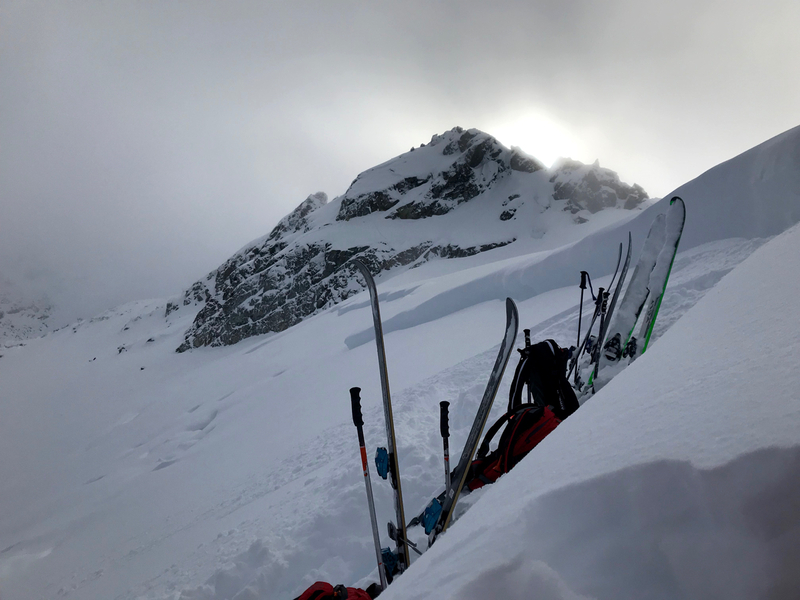 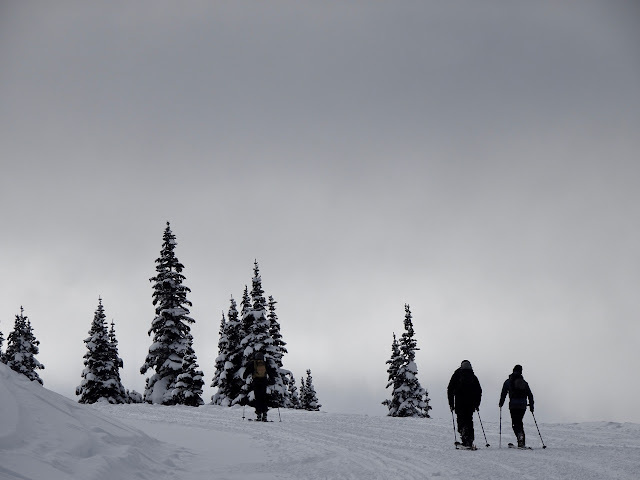 No new local avalanche activity to report. Fracture line profile of the avalanche in Blackcomb Glacier. 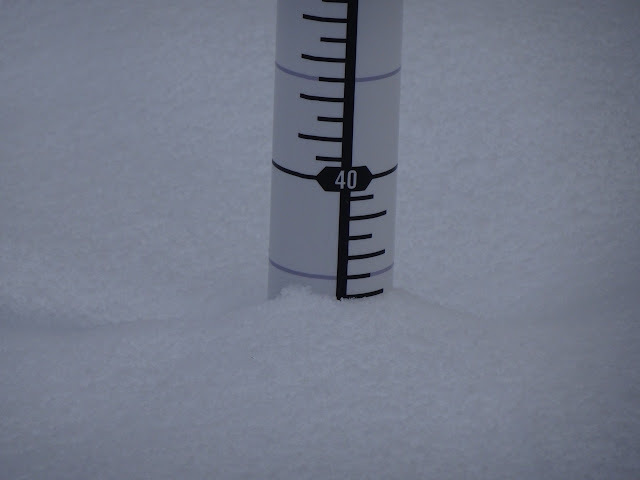 34 cm base at the Catskinner weather plot. 1 cm of new during the morning.